Discover your true potential as a musician, teacher, composer or music theorist. Develop your abilities with individual private lessons in applied study on piano, voice, brass, winds, strings or percussion with nationally and internationally trained instructors. You will study performance, composition, music theory, history and literature, and both elementary and secondary music education. You will receive weekly private lessons and ensemble experience every year. You'll engage in significant student-teaching experiences throughout your degree and an extensive internship in the second year of your Bachelor of Education-Sequential Music program. Once you are finished your Bachelor of Music - Music Education degree in the College of Arts and Science, you will be accepted automatically into the College of Education so that you can complete a Bachelor of Education - Sequential Music degree in two years. This allows you to finish two degrees in six years. This ensemble is open to all students of the University of Saskatchewan. No audition is necessary. Throughout the academic year, a wide variety of wind ensemble repertoire will be studied, rehearsed, and performed. Students will rehearse together on a regular basis with the intention of performing at two major concerts (one at the end of T1, one at the end of T2). Other concerts may be scheduled throughout the academic year. All concert dates will be announced in early September, before the add/drop deadline. Students will be tested individually twice a year - once before the major T1 concert and once before the major T2 concert. A history of music covering the Classical period from approximately 1700 to 1800. Emphasis will be on the main forms, composers and representative compositions from this period. A systematic study of the fundamentals of organizing and leading a choir. Topics include: the voice as instrument; auditioning and placement of singers; text, languages, and diction; warm-ups, choral balance, blend, and tone; rehearsal management, leadership and organizing performances. Study at one of the most beautiful university campuses in Canada while being immersed in the City of Saskatoon’s active arts environment. Saskatoon is a hotbed for musicians with solo and group performance opportunities with the renowned Saskatoon Symphony, Fringe Festival, Shakespeare on the Saskatchewan, Saskatoon Jazz Society and the SaskTel Jazz Festival. You will be surrounded by extensive first-class learning opportunities thanks to personalized instruction and critique from world-class composers, clinicians and musicians, all of whom comprise the Department of Music faculty. Our department also presents you with the opportunity to perform in several ensembles that are highly regarded throughout Saskatchewan, including the Greystone Singers, Wind Orchestra, Concert Band, Jazz Ensembles, Music Theatre Ensemble and University Chorus. With an array of theatres, practice rooms and the latest digital recording and performance equipment, you will benefit from first-class facilities. The Department of Music offers a unique degree program in music education (in collaboration with the College of Education) for those whose goal is to teach music at elementary or secondary levels. Students who complete this program are automatically accepted into the College of Education's two-year Bachelor of Education - Sequential Music program. The completion of this professional B.Ed. 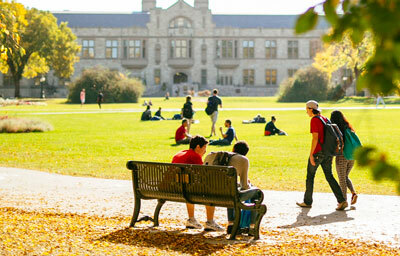 degree qualifies candidates to teach in all Canadian school-based systems. There are many music-specialist positions available to teachers who are entering the work force. These combined degree programs also allow for teaching positions that involve part-time music along with other subject specialties and will train students to meet the challenge of a variety of teaching positions in a flexible job market with two separate degrees. You should consult with an academic advisor in the college when you begin your studies to decide if you want a four-year, or honours degree. As part of your Music Education degree you will get to choose if you'd like to specialize in teaching elementary or secondary students and also choose a second teaching area to complement your music teaching. See below for the possible teaching areas in each stream. Once you have finished the Bachelor of Music Education degree, you will be automatically accepted into the Bachelor of Education - Sequential Music program if you would like to teach in the K-12 system. Auditions with the Department of Music are required if you are planning on entering either the Bachelor of Music or Bachelor of Music - Music Education program. The audition consists of an interview, a performance, and a short theory placement test. Applications are not considered complete until both the online application for admission and all additional audition materials are submitted. If you are looking for graduate level (master's or Ph.D.) programs please consult our graduate students' website.